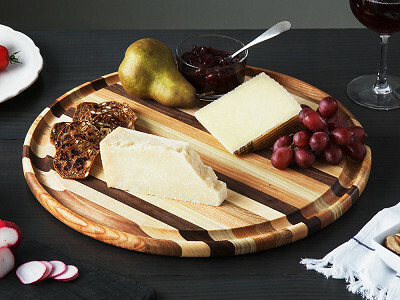 Kiyomi and Aaron Dickinson began making handcrafted cutting boards in the 1990’s in their garage in Indiana. 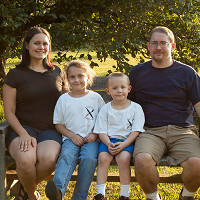 They have since graduated to a proper woodworking studio where they are still at work making bread and cutting boards from start to finish. 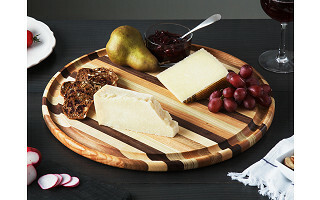 The bread board and double-sided cutting boards (with a handy grooved surface to corral juices) all start with locally sourced and sustainably harvested hardwoods, like maple, white oak, coffeenut, ash, and cherry. The color and grain of each one is showcased in the Dickinson’s distinctive striped design, and results in an attractive piece that easily moves between the kitchen and table. 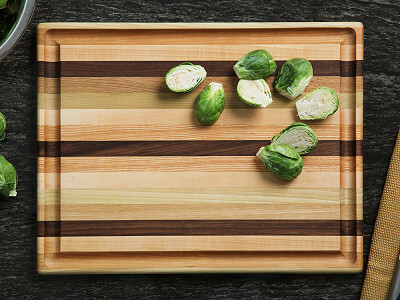 With the right care—like hand washing and seasoning it with oil—these boards can last for years. 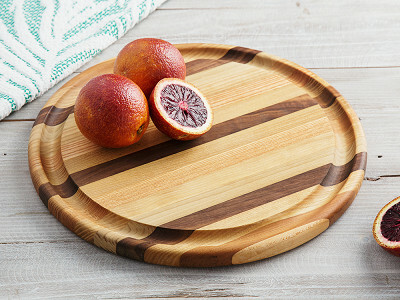 What hardwoods are used in making these boards to give the distinct striped appearance? Maple, walnut, cherry, white oak, tulip poplar, black locust, coffeenut, and ash. How do you care for the boards? 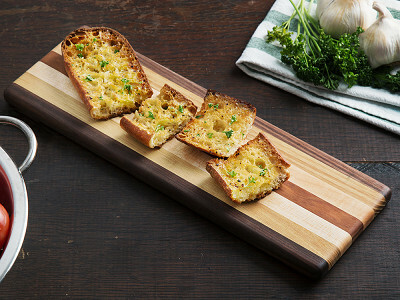 Season your board with food grade mineral oil or coconut oil bi-weekly, as needed, or when the color looks "faded" (which means it's dry) to keep the board from drying out as needed. Buff with soft dry cloth after applying oil.